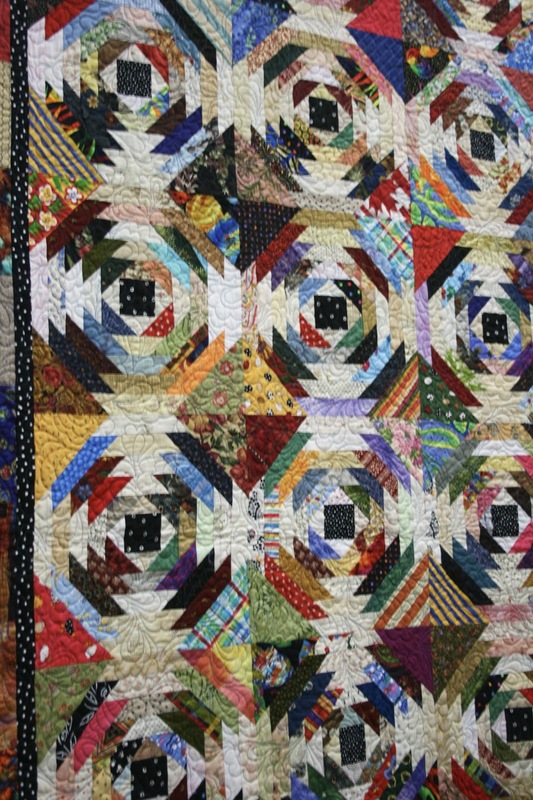 I spent this weekend with my daughter at the PVQA annual quilt show at the Santa Cruz County Fairgrounds. 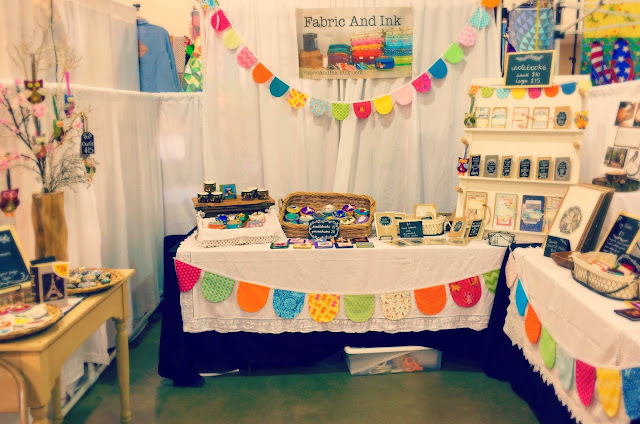 This was our second year as vendors at the show and I think I enjoyed this year more. We met so many lovely people and made a few new friends. If you've been visiting my blog for a while, you'll know that I also teach a costume design class and that the show we have been working on also fell on this same weekend! It was truly crazy but everything got done! Having both things happen at the same time meant I was constantly torn between what things to work on and when. 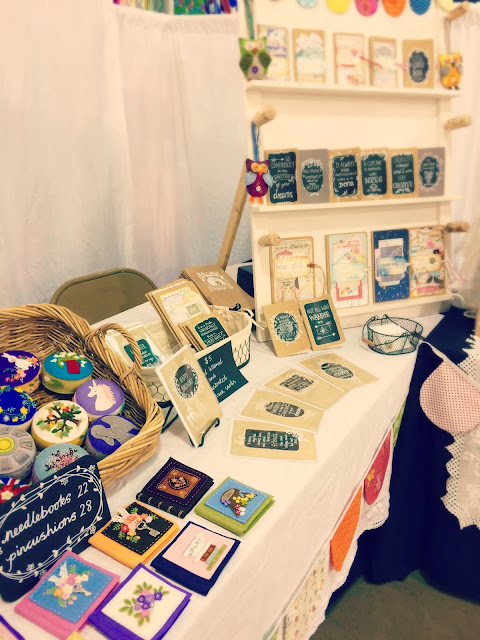 It was frustrating at times and I ended up with fewer pincushions than I would have liked but I was happy with how the booth looked and with the product we had. My daughter always enjoys meeting other artisans and talking with them. 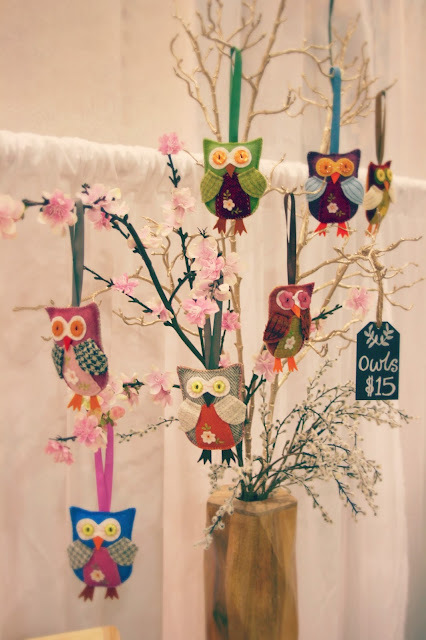 This year she connected with two vendors, one making fabulous spirit dolls and beautiful shabby chic style items and the other a fabric vendor who teaches college level design (my daughter is hoping to study art at college). It wasn't all good, there were some hiccups.....my new "square" that was supposed to read the new chip cards didn't read anything at all and we had to input all the credit card information by hand! (I took the old one in on Sunday and it was fine). And the heating/cooling was very strange in the building we were in. On Saturday it was absolutely baking and by the afternoon all we wanted to do was curl up under a table and sleep like cats! So on Sunday we came prepared wearing lighter layers but Murphy's Law prevailed and it was really cold, we spent the whole day shivering and taking it in turns to go outside to warm up! This year, I made sure to get enough time to look at the quilts. The lighting in the Fairground buildings is pretty dire and terrible for photographs. 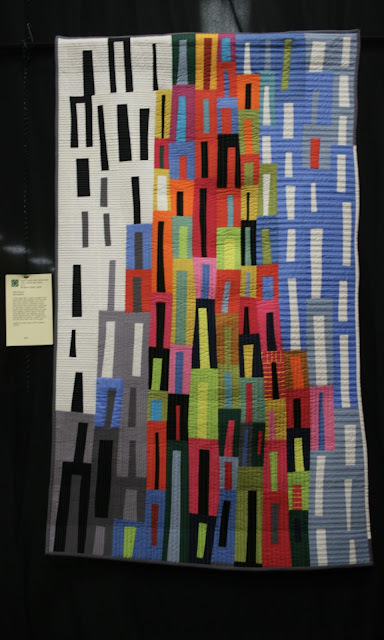 I thought there was an interesting mix of quilting styles but as usual I found myself drawn to the modern quilts. 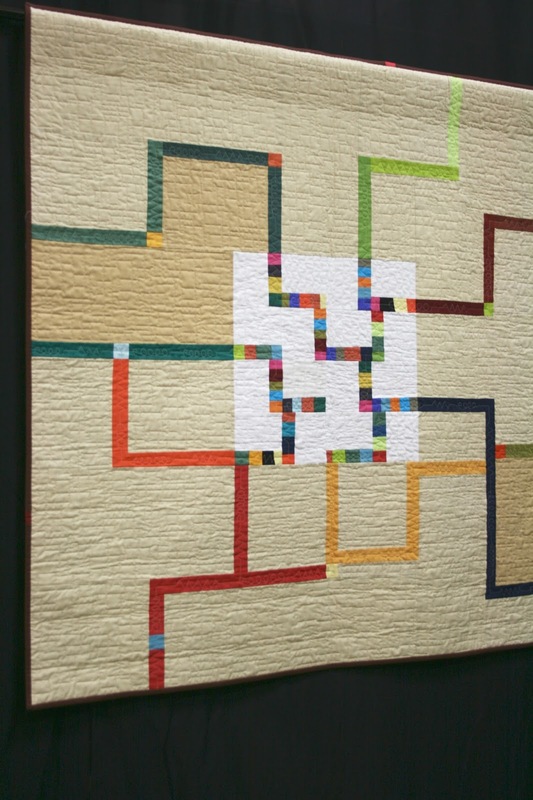 These are quilts with clean, bright colors and interesting, often geometric designs. I totally appreciate traditional quilts too, each represents so much time and hard work. On the rare occasion I come across a hand quilted quilt, I am completely blown away by the beauty of the hand quilting. 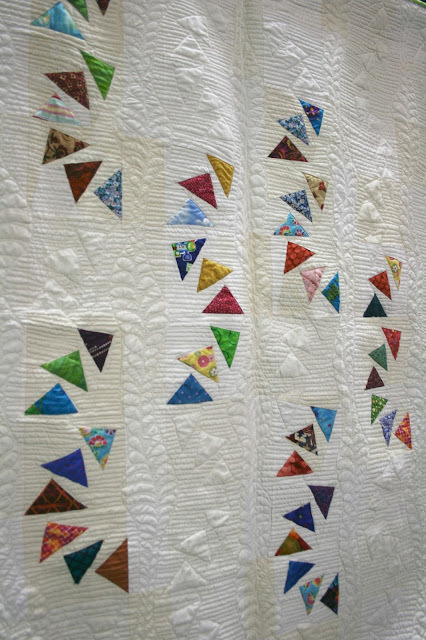 I love the colors in the above quilt and always find myself drawn to tightly spaced, straight line quilting. 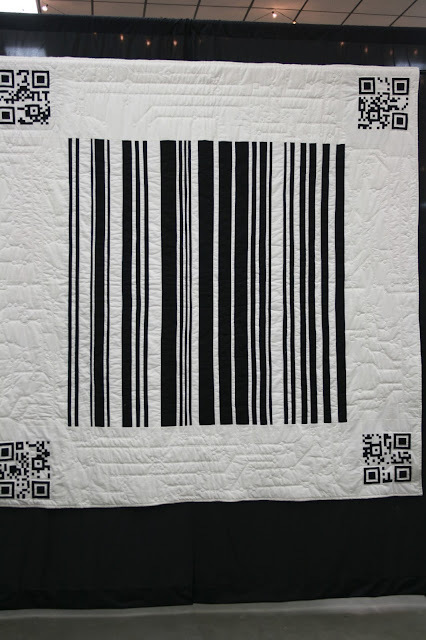 This bar code quilt, really stood out in the crowd! 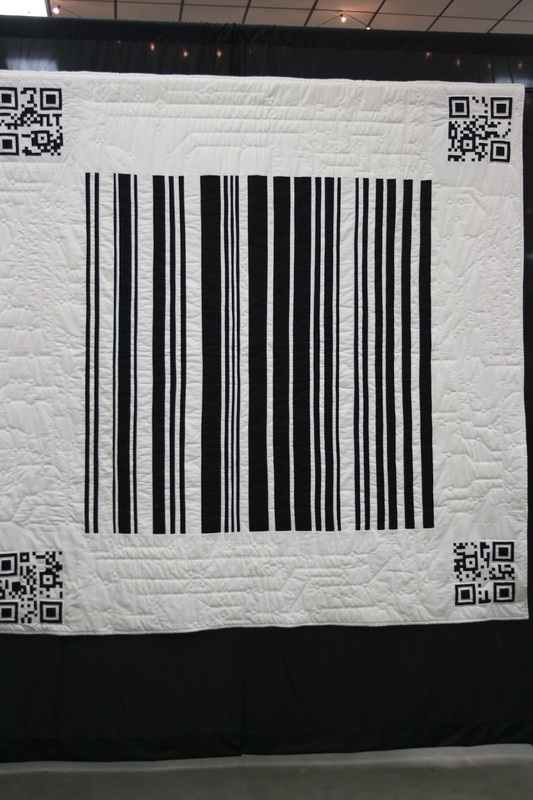 It is a little hard to see, but the quilting is like the patterns on circuit boards. There is a lot of movement in this lovely quilt, and more of that straight line quilting I love! I can never resist a scrappy quilt either and I know that this pattern is a lot of work. It is beautiful. 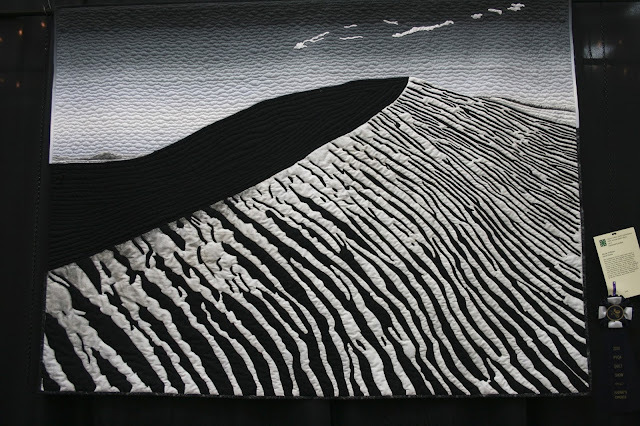 This sand dune quilt was on show at the Morgan Hill show in September last year but I was so busy at that show I didn't get to see it properly. I love the boldness of it. The quilt below caught my eye because it reminded me of the London Underground Map. I thought it was fun. I have a lot of sewing to do now to replenish my stock! I need to take a few days to do some cleaning and sorting out at home, everything got a bit neglected in the run up to the quilt show and the play. Once things are sorted out here, I have to freshen up and re-open my Etsy shop which has been "on vacation" for the last few weeks. Now I'm going to make some tea and watch last night's episode of Downton Abbey!